I’ve spoken before about how The Bard’s Tale was one of my all-time favorite computer games. It certainly has the distinction of being the first CRPG (computer Role-Playing Game) I ever played. So when InXile Entertainment announced a Kickstarter campaign to reboot the franchise and create The Bard’s Tale IV: Barrow’s Deep, I leaped at the opportunity to be involved. That involvement began with contributing to the Kickstarter campaign itself and evolved into me reaching out to Nathan Long, the lead writer on the game. Not only was Nathan writing the game itself, but he was drafting three novella-length adaptations for the original Bard’s Tale games. Basically, he was writing a trilogy of short novels based on the games! I offered my assistance as a beta reader and provided him with some early feedback. Nathan’s a great writer and I absolutely loved his take on these classics. I learned during that time that InXile was planning three additional novellas, each one based on one of the characters you’ll meet in the new Bard’s Tale IV game. I offered my services, and lo’ and behold, here we are: I’m delighted to announce that I wrote one of those tie in novellas, and it’s called THE SONG THIEF. 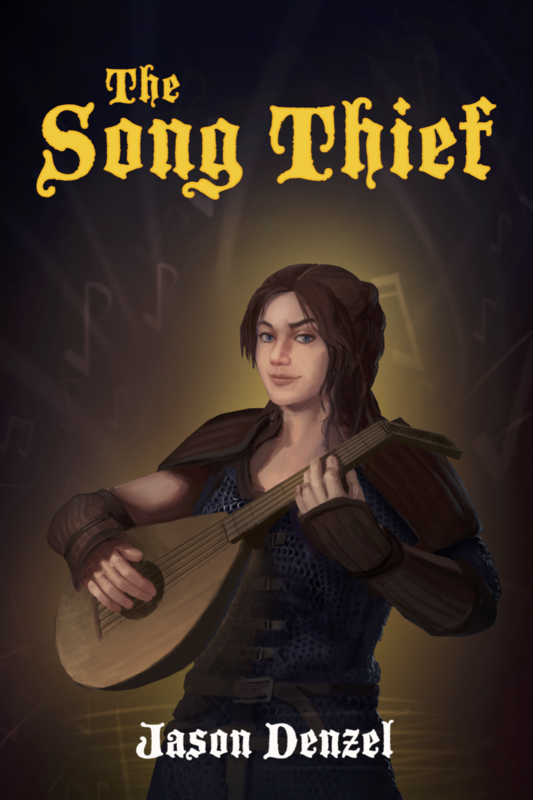 One day, Fiona the bard can’t remember a song. This is unusual, since it is her job to remember songs. Wha’s even more unusual is that no one else can remember the song either. It seems to have vanished from the collective unconscious of the entire Baedish lowlands. When another song disappears from her memory, and another, Fiona and her unlikely companion Soriac (a trow who fancies himself a wizard) begin to suspect foul play. Their search for the song thief takes them across the lowlands, into hostile cities, through foreboding dungeons. Only by confronting her deeply held prejudices can she reclaim the songs that were taken from her past and from her people. THE SONG THIEF is now available. The only current way to get it is to purchase the Bard’s Tale IV computer game (premium edition) from Steam or GOG.com. If other methods become available, I’ll let you know.